Made of strong and very durable, 100% natural, ecological cotton tape. Both straps are adjustable. Lighter weight. Allows the dog to have relaxed movement of muscles. Makes it flexible and efficient. Features quick release buckle. Strong and durable. Ideal harness for everyday use. Perfect choice for daily walks. 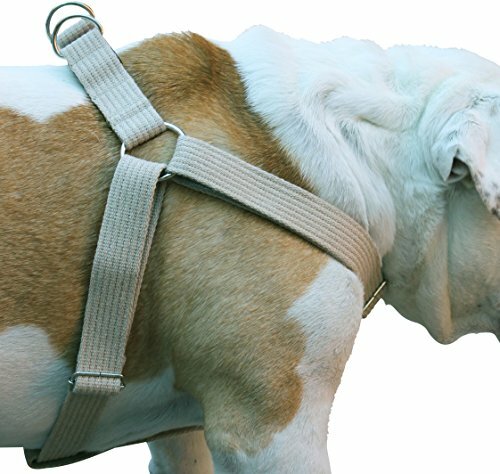 These fabulous earth friendly dog harnesses available in four sizes with four different widths for the perfect fit. Please check other Dogs My Love products for matching leashes. Both straps are adjustable. Lighter weight. Allows the dog to have relaxed movement of muscles. Makes it flexible and efficient. Features quick release buckle. Strong and durable. Ideal harness for everyday use. These fabulous earth friendly dog harnesses available in four sizes with four different widths for the perfect fit. Please check other Dogs My Love products for matching leashes. If you have any questions about this product by Dogs My Love, contact us by completing and submitting the form below. If you are looking for a specif part number, please include it with your message.